Billboards, magazines, television - all great ways to promote merchandise. But unconventional platform for advertising, such as columns and pillars , allow the implementation of original ideas that are impressive and memorable consumer. 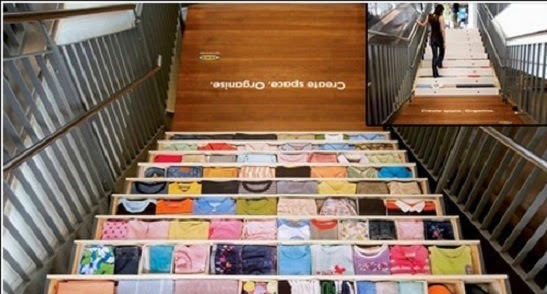 In this article - the most interesting advertising on stairs. stairs design in one of the stores of the Swedish furniture shows what order will be at your home after purchasing its products. On the steps depicted drawers with neatly stacked things . 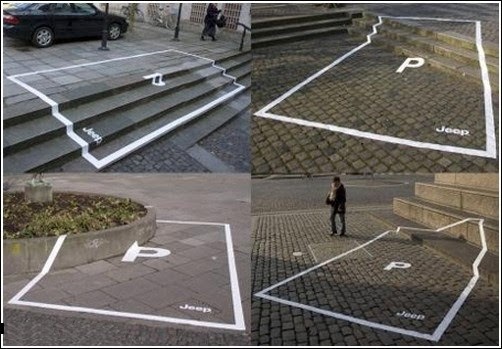 Jeep launched a whole campaign, depicting on the asphalt parking lot, certainly designating them his name - apparently demonstrating that other obstacles such as stairs (or high beds) can not do. Great idea implemented in Ogawa - on some stairs city placed stickers resembling that here make the best massage . 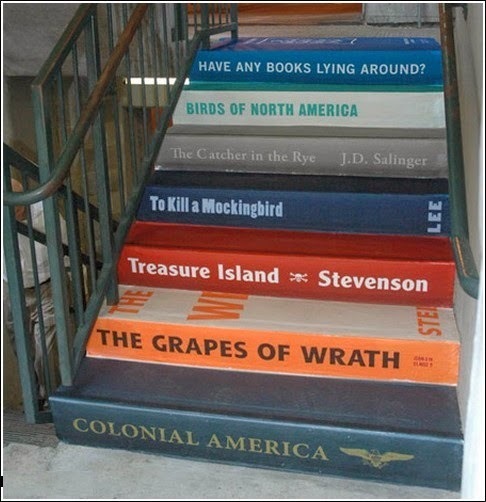 Such an original way in Greenville offer to donate books. all the road lead to the store ! 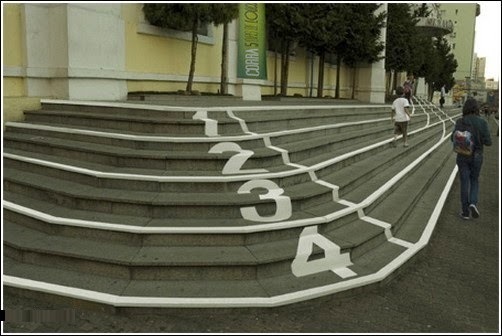 Stairs around the mall style racetracks. Finish, of course, at the entrance.